When should I study a Master’s degree? We offer a range of part-time undergraduate, postgraduate, professional and short courses across many subject areas. So whether you want to enhance your career prospects, update your professional skills or simply study for your own enjoyment, we can help you realise your potential. 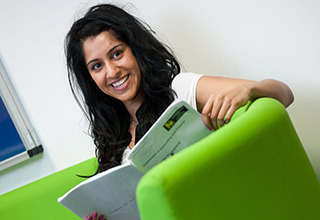 Many of our courses allow you to study part-time. In most cases, you can apply to us directly – you’ll find the link to the form and further information on the ‘how to apply’ tab of each course page. If you can't apply online, there's a PDF form instead. Tailored carefully to the needs of part-time students, study options include evening and day release, yet offer exactly the same levels of student support and facilities. Crucially, part-time study allows you to balance your studies with your life. Flexible study fits in around family and work commitments – and your employer may even contribute towards your tuition fees. It’s no wonder that at Birmingham City University one in three people are studying on a part-time basis. "I wouldn’t have been promoted without my CIPR diploma. It has given me a much more strategic focus and helped boost my confidence as a communicator." According to the Times Higher Education website, part-time students enjoy a high level of job stability. Part-time courses are studied over a longer period of time than their full-time equivalents, but you spend fewer hours per week in a classroom. Courses could involve day release, day plus evening, or evening only study. Some courses are offered via flexible learning, and distance learning is also a popular choice.